Walks are local and leisurely and between 4 and 5 miles (maximum 5 miles) in length over easy terrain. 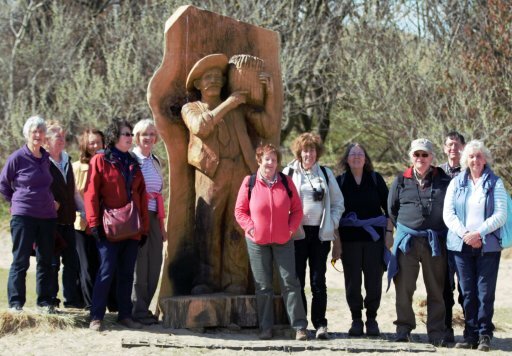 Monday walks start at 1.30pm, they are all local and are between 4 and 5 miles over easy terrain. Just turn up at the starting place at 1.30 for a Monday walk but do contact the coordinator if you need more details or a lift. Please wear good footwear for all walks. Please continue to check the website for updates or directions to the start of a walk. Walks are held at 1.30 on the 3rd Monday of the month unless otherwise stated. Monday 18th March. Croston. A circular walk which includes some of the Croston heritage trail and onto Croston Moss. The route is all on good tracks and paths. Around 4 miles. Leader: Margaret Wiechers. It takes about half and hour to drive to Croston from Ormskirk; take the A59 towards Preston, turn right towards Croston on the A581. Or you can go by train (15 mins from Ormskirk and a short walk to the starting place). Parking: adjacent to Our Lady’s Catholic Church in Hall Lane Lydiate, just off the Southport Rd A5147. Starting place and parking: The side road to the right of the A59 adjacent to the Rufford Arms Hotel, at Sparks Bridge, (plenty of parking). Remember – you can just turn up at the starting place for any Monday walk –or ring the 01695 573744 or 01704 889736 or email mondaywalks@aughton-ormskirk-u3a.co.uk for more details.